This is a very special episode as James from TheDriedBloodPodcast.com comes on to discuss the Evil Dead Trilogy. 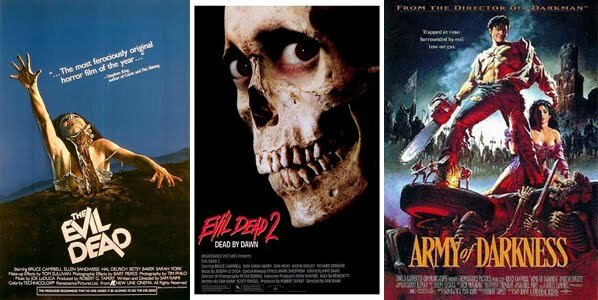 Join us in this very lengthy show as we discuss Evil Dead, Evil Dead 2, and Bruce Campbell vs The Army Of Darkness. The beginning of the show Tyler and Emilie discuss the Nightmare On Elm Street remake, Avatar, and The Collector. Music in this show is by Jackie Moon, 40 Below Summer, 36 Crazyfists, and Valient Thorr. Send us some feedback to allmyheroeswearmasks@gmail.com or call 206-600-4762 Thanks to everyone that is listening and another big THANKS to James.